Far too often it appears that the death penalty debate hinges on the method of execution. Sodium thiopental followed by pancuronium bromide or potassium chloride – is this a simpatico cocktail? Has anyone reconsidered the gas chamber, electric chair, lynching, firing squad or guillotine? Pick your poison … it all equates to government sponsored premeditated murder. As death penalty opponents, we cannot afford to slip into this quagmire of legitimizing any method of execution. The concept of a humane execution is an oxymoron. Any way that you enunciate it, “The Method of Execution” is synonymous with cruel and unusual punishment inflicted. We cannot fall for this circular straw man argument over method: If only we could find the correct draconian, barbaric “method” for the government to premeditatively murder death row prisoners … Death penalty proponents have the temerity to employ the “method” debate as a distraction from the germane issues. We are fighting to abolish the death penalty because it is morally, ethically, socially, culturally and even economically reprehensible. No one has the right to murder – not even the government. Our government is fatally flawed as a whole: riddled with corruption, mistakes and racism. The death penalty is final – no place for corruption, mistakes or racism. There will never be a humane way for the government to premeditatively murder prisoners on death row. The government absolutely must be genuinely flawless in all aspects of litigation and law prior to state sponsored premeditated murder, yet nothing concerning humankind has ever been flawless. Each death penalty sentence is a notch on the prosecutor’s bedpost. The prosecutrix I faced was immediately elevated to the judiciary subsequent to my death sentence. Contemporaneously I was being erroneously caged inside the venomous belly of the diseased beast squatting by the Bay – San Quentin; ergo ultra ambitious prosecutors with everything to gain metastasize in this cesspool. Over 1 million additional dollars rendered per death sentence, when juxtaposed to a sentence of life without the possibility of parole. Could these billions of taxpayers’ dollars be spent on poverty eradication, health care, education and infrastructure? Upon graduation, medical students take the Hippocratic Oath, which states in relevant part, “Most especially must I tread with care in matters of life and death. If it is given me to save a life, all thanks. Above all, I must not play God.” This begs the question: Why are medical personnel violating their oath by participating in government sponsored premeditated murder? Are they in fact playing God? We are battling to put an end to the mindset that would execute an innocent person. Immoral, unprincipled, biased prosecutors and judges turn death penalty trials into a farce and a shame by allowing fabricated evidence logs and police reports, false and/or perjured testimony, unreliable evidence, discovery violations, destroyed exculpatory evidence as well as prosecutorial misconduct for the state and/or government. In the same vein, they reject exonerating evidence proffered by the defense. Prosecutors and judges who are death penalty proponents should be excised from the just-us system. The United States Constitution – more distinctly the amendments codified in the Bill of Rights; for example, Amendment V, “No person shall be deprived of life, liberty, or property, without due process of Law” – is an empty formality in the trial courts. Similarly, equal protection of the law, right to a fair trial, jury of your peers, death penalty qualified attorneys pursuant to the American Bar Association, proper defense funding, required expert witnesses, adequate appellate review … exist only in theory. Approximately 130 death row prisoners have been exonerated since the 1976 reinstatement of the death penalty. Copious innocent death row prisoners are being wrongfully premeditatively murdered by the United States government. The influence of passion and prejudice manipulated by the corporate media insures an innocent defendant’s death sentence. How would I know? Well, I am one of the innocent on death row awaiting exoneration. I have been held captive on California’s death row for two and a half years – no time to procrastinate in the struggle! We are struggling for the people who cannot labor for themselves. Death row can be overwhelming, causing suicide – mentally ill death row prisoners volunteering for execution via abandoning their appeals to expedite death. Over 10 percent of death row prisoners executed since the 1976 reinstatement of capital punishment in the United States have been volunteers. We all need to have a reason to get up in the morning. If we lose the desire to rise, we die – psychologically, emotionally, socially and inevitably physically. Motivation to face another day, attempting to make each day more productive than the day before, is essential to life. Every person convicted and sentenced to death who dies before the appeal process is exhausted dies an innocent person pursuant to the legal principle in United States law: “abatement ab initio.” This legal principle nullifies and extinguishes indictment, jury verdict, conviction and sentence as if they had never existed. Who enforces this law? Surely we cannot expect immoral, sanguinary judges, prosecutors and investigators – who make a living of death sentences – to obey the law, consequently deducting from their murder count … former Enron chairman Kenneth Lay. Convicted of conspiracy and fraud, he died July 3, 2006, an innocent person pursuant to “abatement ab initio” equal protection of the laws … right? There are 700 or so people on California’s death row and I am number 600 plus. Am I supposed to quietly stand by while California executes over 600 people – until my number comes up? I will speak out for all of the people on the government’s hit list – I mean short list. Shut down the death machine … no humane way to murder. Unity in our common cause is essential! I will continue the ardent struggle from the “inside out.” As you fight to abolish the death penalty from the “outside in,” may we intersect in success! Immorality depicts the death penalty – accordingly the “method” is obsolete. 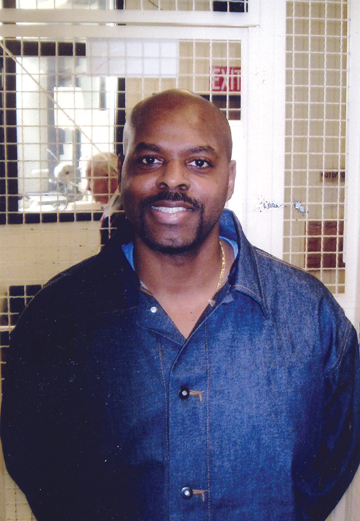 Send our brother some love and light: Donald Ray Young, E-78474, P.O. Box E-78474, San Quentin State Prison, San Quentin, CA 94974. Next article‘Change … comes through continuous struggle’ – Dr. Martin Luther King Jr.
the 130 exonerated is a scam.Possibly, 25 actual innocents have been identified and released on death row. Of course execution is not murder. Legal execution is a just punishment given to a guilty murderer who murdered an innocent. The death penalty has, by far, the most due process protections in US criminal law. There is no violation of the Hipocratic Oath when medicalpersonel participate in executions. Death Penalty should be abolished. We do not create life and neither do we have the right to destroy it. However as our societies progress towards an urban utopia it may become impossible to have some among us create the cause of distress to the wider society which may have to be contained for the larger good. Confinement in such cases is acceptable but not death penalty as practiced in many countries even today! ‘The Right to Live’ the fundamental right protected by the UN Human convention and also EU referendum is still being practiced by having amends! You who desire the abolition of the death penalty, tell me this. Are you also pro-choice (pro-death)? If so, you cannot oppose capital punishment. Are you trying to save a murderer but seek the death of a newborn baby? The fundamental premise of the opposition to capital punishment is because, a civilized society cannot commit the same crime that we detest in the first place! Also the whole idea of Capital punishment is to prevent those people from affecting mainstream society. In modern we can make sure the person can be held to solitary confinement there achieving the same results. daniel, murder is a crime, execution is a legal sanction for committing that crime. The anti death penalty folks are looking at an act — “killing” — and saying all killings are the same. Only an amoral person would equate acts, without considering the purpose behind them. Maybe it’s time to abandon such an amoral consideration. Mr Young…why are you incarcerated? Their trial, which lasted more than four months, focused on one of the most brutal crimes in Tulare County history, a robbery at Tulare’s Pato’s Place bar that claimed the lives of Celia “Linda” Martinez, 50; Armando Lugo, 22; Jorge Munoz, 23; Roberta Lynn “Cuatita” Nunez, 39; and Margaret Moreno, 44. All of the victims died from point-blank shotgun blasts as they laid face down on the bar room floor. Fifteen children lost a parent in the bloody massacre, which happened July 18, 1995. The killers got away with about $300 from the cash register and all of their victims’ wallets. The defense claimed throughout the trial that the murders at Pato’s were tied to a “drug-related hit” and that their clients were framed. Only bar owner Lupe Cantu, shot first after one of the masked assailants jumped over the bar, survived the grisly massacre. On July 18, 1995, brothers Timothy and Donald Young killed five patrons and wounded the owner of the “Pato’s Place” bar during a robbery in Tulare County. Death row is an necessary way to keep order in society. Without it people will be more willing to break the law. With a certain method of discipline, the fear or punishment will keep the society safe and the safety of an innocent is more important than the safety of a criminal. Too many people break the law but if u are rich than nobody will say something u´re not even going to prison for whatever u do. rich people made laws to set poor people under pressure. How many corrupt people are in the governments kill people sell drugs and do a lot of more bad and forbidden things and noone say something and they dont go to prison or come in a death row just cause they have enough money to pay police or court. They win processes in court with lies and put other innocent people in prison for their own things they did. I mean nobody have the right to kill cause we cant create life, but only god can judge us for whatever we do in life and everything happen for a reason. On July 18, 1995, brothers Timothy and Donald Young killed five patrons and wounded the owner of the “Pato’s Place” bar during a robbery in Tulare County. The victims were Celia "Linda" Martinez, 50; Armando Lugo, 22; Jorge Munoz, 23; Roberta Lynn "Cuatita" Nunez, 39; and Margaret Moreno, 44. Bar owner Lupe Cantu was shot and seriously wounded in the attack but survived. He testified during the trial. Donald Young was sentenced to death in Tulare County on May 18, 2006. The other owner or controlling partner, who was not there when this occurred, was locally known as a semi big drug distribution guy for cocaine and meth with connections to cartel and/or prison gangs. He owned other business such as tire shops (ragged store front) that clearly could not be doing the amount of business that provided the lifestyle that was being lived. The one owner that was there was only shot in the shoulder and said he acted dead to stay alive but every other person there was shot execution style. My friend's mother died there that night as she was a single mother working as waitress trying to make a living to feed her two boys and herself. This all stinks to me and nobody would rob Pato's Place at that time of night with that amount of fire power and malice, common sense! This seemed like a message was intended and was obviously received. If the people that were convicted did indeed do the shooting or were involved in anyway then they were just the instrument used and not the actual people that planned and pushed the buttons. The big homies or shot callers push buttons and then people that do it usually just spokes on the wheel along for the ride and always walking the line. This stinks of a organized type activity and if this was indeed random then the co-owner I mentioned before with criminal ties and doing the drug distribution would not have let it slide without some serious pressure or rumors of retaliation.